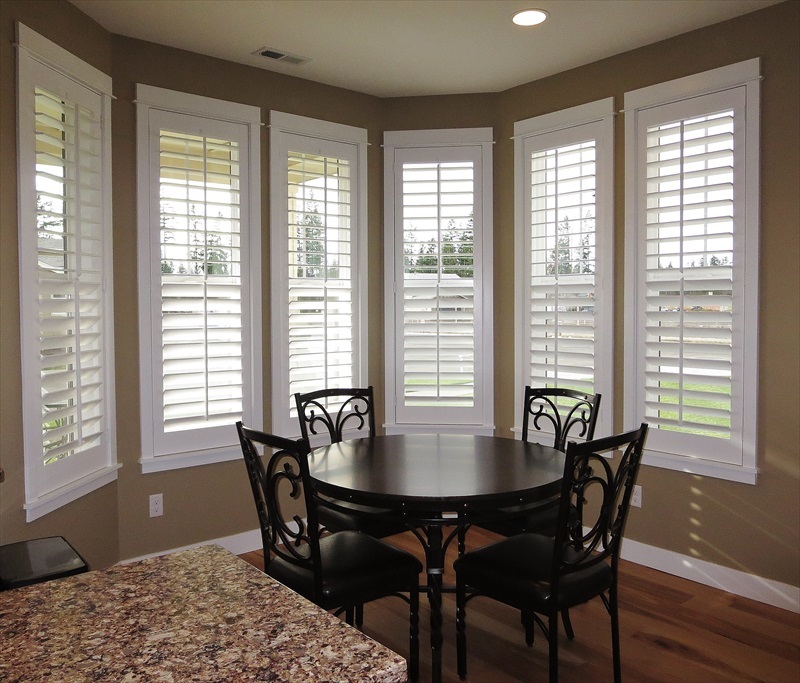 Plantation shutters are offered in the following louver sizes: 2.5", 3", 3.5", 4.5", and 5.5". 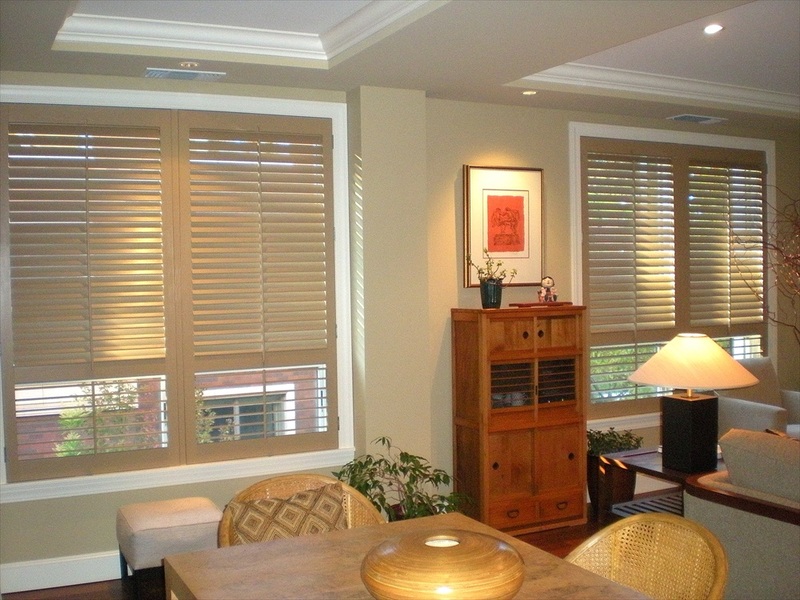 Plantation shutters work well in both classic and contemporary interiors. 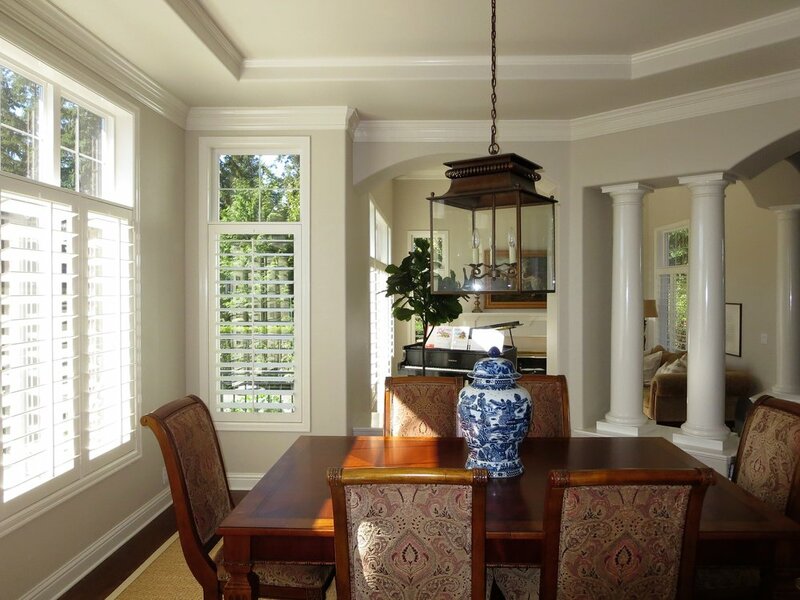 They allow more light into the room due to the larger spacing between the louvers. 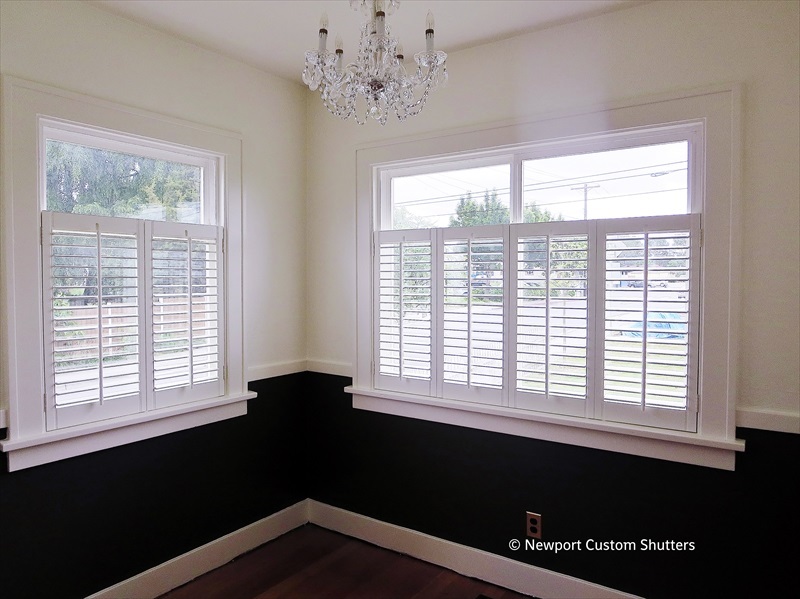 Look through the gallery below for examples of plantation shutters.